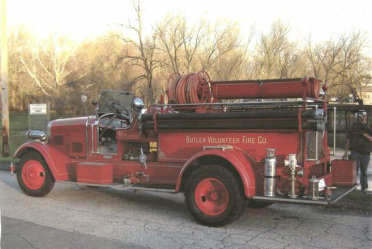 The Butler Volunteer Fire Company proudly protects 3,500 people living in an area of 64 sqaure miles. We operate out of one station which consists of one engine, a tanker support unit, a utility, and a brush unit that protects a primarily rural area. We are 1 of 30 volunteer stations that make up the combination Fire Service of the Balitimore County Fire Department. We are also members of the BCoVFA, NFPA and MSFA.